As we mention Lucknow’s cuisine, the first picture which comes in our minds is probably of Kebabs and Biryani. However, the city of Nawabs has a lot more in store for the gourmands around the world. Apart from the delicacies served here as the main food, Lucknow is home to some of the hard-to-resist sweets you can ever gorge on. Even the Nawabs of Awadh were ardent love of sweet dishes. So, it is not only for the biryani, but also for the sweet delights that foodies in Lucknow owe a lot to the Nawabs. At one time, “sweetening the mouth” was the phrase frequently coined for this city. Nawabs had their own khansamas (master chefs), who used to cook a trail of sweet delights which Nawabs devour after the main course. The degree of the finesse of cuisine of Lucknow can be fathomed by looking at the host of its indigenous sweets and desserts. Just like the Ganga-jamuni tehzeeb of Awadh culture, the sweets of this region also boast of a fusion of Hindu and Muslim elements. Although you might not find the magical taste of the past era as cooks then are no more now, but the essence of that magic can still be found in these sweet surprises. Safeda or the sweet rice is a special delicacy on the dastarkhans of Lucknow. Although being a simple dish, Safeda is prepared with great formality. Usually, it is prepared by first boiling the water with cloves and cardamoms in it. The rice is soaked for hours before adding them to this boiling water. Once the rice starts boiling the heat is reduced and is cooked on low heat. Simultaneously, the syrup is prepared with two seers of sugar. When the rice has nearly cooked, it is again cooked in steam of the syrup. Lastly, the rice is added to the syrup in a pan, and its lid is sealed with kneaded flour to keep the gooeyness of the dish intact. Hot coals are kept both under and top of the lid and the dish is left to cook in its own steam. No colour is added to it otherwise its name ‘safeda’ meaning ‘white’ would serve no purpose. 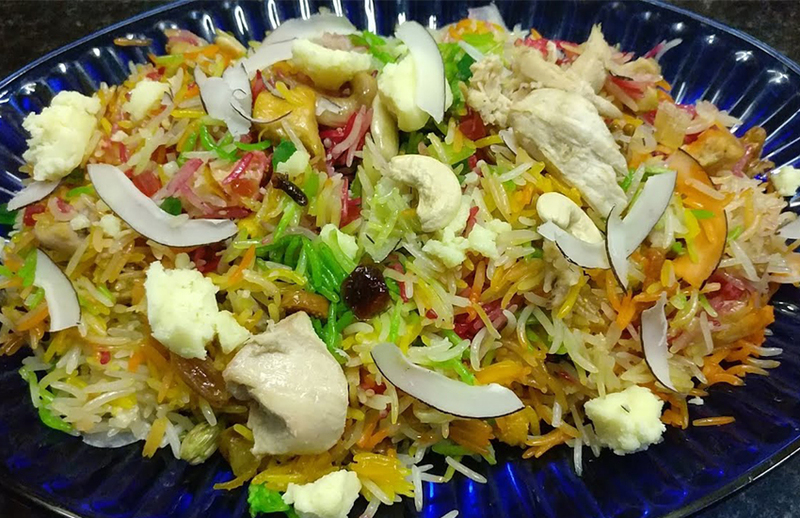 Although the rice remains in its natural colour, the dish when served looks luscious and appetizing with toppings of chopped dry fruit and vark (thin silver foil sheet). The more popular sweet rice in Awadhi cuisine is Zarda. Safeda and Zarda are more or less the same, the only difference being the colour. Zarda is yellow in colour and this colour is most often made out of Turmeric. In the preparation of Zarda, turmeric tempered in ghee with cloves and cardamoms is added to the boiling water before pouring rice into it. The name Zarda derives from ‘zard’, a Persian word meaning Yellow, hence referring to the colour of the rice in Zarda. You can add dried milk (khoya), nuts, raisins and other nuts to make it more tempting. Zarda is a special sweet dish in Lucknow and is often spotted in weddings or festive celebrations in Lucknow. Dating back to the Mughal era, a variation of Zarda with an addition of small fried sweetmeat pieces was made; it was called ‘Mutanjan’. Though the dish is found no more, its name is still engraved fondly on the minds and the tongues of Lucknowites. Mutanjan is prepared similar to biryani but with a twist of kimam (a sugar syrup). Meat and rice are cooked separately. Then Meat, rice and kimam are layered together in a vessel and then steamed like it’s done in dum-pukht biryani. The final dish leaves a mouth-watering aroma and is full of flavours. This dish was one of the favourite dishes of Emperor Shahjahan. His cooks often prepared it on his request. Shish ranga is one of those dishes which have lost their popularity with time, but the sumptuousness of this dish is still in place. During the Mughal epoch, Shish Ranga was the beauty of dastarkhan (ceremonial dining spread). It prepared with great refinement and flair. Shish ranga means six colours and the dish was named such because when observed carefully, it had six different colours in single serve. This lavish dish was made of apples, pineapples, carrots and green gram. Each of the ingredients infused its own peculiar taste, making the final preparation simply mind-blowing. In the days of Yore, this dish was cooked with Rangooni, a high quality aged rice. To prepare phirni, rice is soaked overnight. The next day, rice is dried and is grounded coarsely until it resembles fine grains. Around four cups of milk are boiled until it reduces to three or two cups. The grounded rice is then added to this milk, not all at once but in small quantities at a time. One of the most common sweet dishes in Lucknow, kheer yet has its own unique taste. 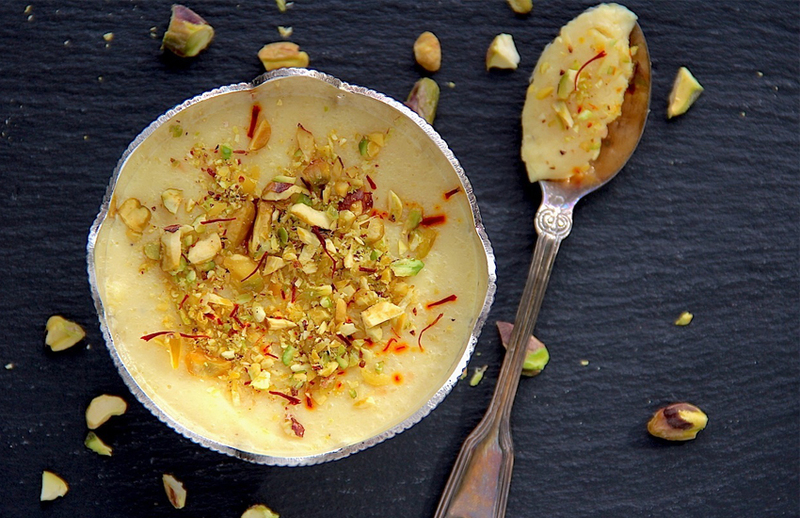 Kheer was simply invented out of liking for sweetness. The individual tastes then added the variants of colour, aroma and flavour. The basic ingredients for this luscious & gooey dessert are rice and milk. Dry fruits are added to make it wholesome and enhance the taste. In olden times, the riche families in Lucknow used to cook kheer purely of dry fruits. You can also spot Kesari Kheer in Lucknow. It is a kheer flavoured with kesar (Saffron). If you go out to explore the cuisine of Lucknow, you can never go back without relishing the illustrious dessert, Shahi Tukda. Shahi Tukdas are bread toast dipped in a sugar syrup and topped with Malai (A thick yellowish layer of milk fat), sprinkled with dry fruits. However, in the olden days, Shahi Tukde was made of good quality sheermals. Today, Shahi Tukda stands as the most loved & regal sweet dish in homes and restaurants of Lucknow alike.